Catch up with the times by thinking beyond the screen. Lumo Play is a one-step-ahead-of-the-times toy for this generation of children. 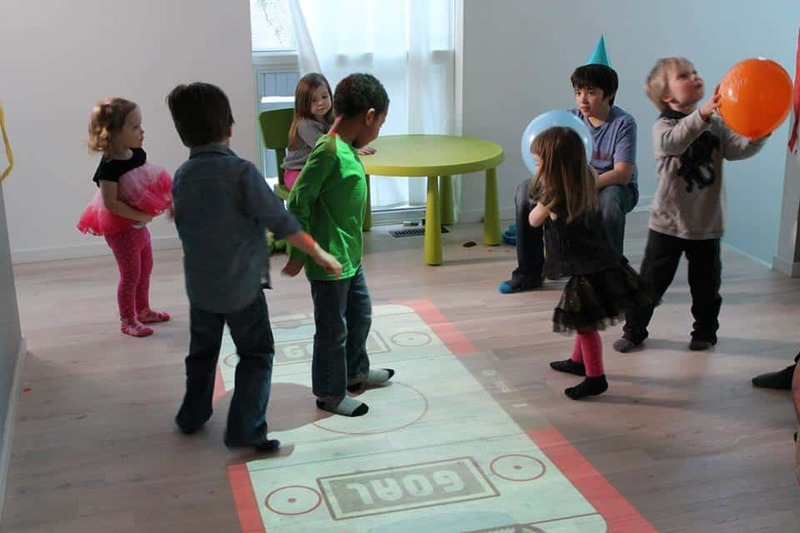 An interactive projector links to motion reactive games that draw fun out of the floor. Rooms become the game. Or maybe it's the game that becomes the room. Either way, all you need to do to get started is hang the device on a wall mount, plug it in, and then choose a surface to convert into a virtual playspace. Watch your children become artists by using templates and drawing tools to create the projected images on the floor. Then watch the workout. Kids jump, stomp, kick, and wave to interact with the game and one another. Gone are the days of just sitting on a couch and only using thumbs to play games that require staring endlessly into a TV. Lumo Play is educational. In addition to learning how to build ideas by creating the content of the game, kids absorb social skills by practicing how to build teamwork with their siblings and friends. Teachers can use the toy in a classroom to bring any lesson to life. In a similar fashion, businesses can take advantage of the development platform within the device and use it at events as an entertaining method to uniquely highlight a product or service. Your family can also use Lumo Play as a projector to show movies on a wall by connecting the toy to a TV, computer or streaming device. Ideas for using the toy are limited only by creativity. The best part, though, is that when your youngsters are finished playing, nothing needs to be picked up. So, nothing needs to be crammed into an overflowing toy box. Just turn it off and move on with the rest of your day. Catch up and discover this new method to encourage your child's intellectual growth and communication skills. Not to mention the calisthenics. With Lumo Play, all it takes to make a game out of any room is a child's curiosity and ever-growing imagination.